Whether you’re looking for a condo in Lincoln NH, a slopeside condo or the perfect ski condo rental near Cannon or Loon Mountain, season-long winter vacation home rentals in the beautiful NH White Mountains offer you a great place to spend your leisure time. 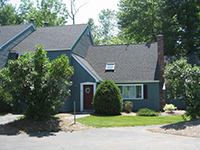 We have a variety of Loon Mountain area ski home rentals and seasonal vacation rentals in Lincoln NH as well as ski season rentals in Woodstock NH. Seasonal rentals are offered as leases for 186 days or longer, primarily during the winter season. Leases normally start at the beginning to middle of November through the beginning to middle of May. The rate is based on the cost of a December through March lease, but the lessee gets the benefit of the unit for an extra two months without needing to pay short-term rooms and meals tax. The lessor has the benefit of a tenant caring for the unit during the shoulder seasons. Occasionally summer seasonal rentals are also available with rates negotiated between lessor and lessee. Condos and townhomes for rent vary in size from one bedroom to four bedrooms. Depending upon the size, location, and amenities associated with an individual unit, rates can range from $5,500 to $15,000 for the season, plus utilities. Lincoln and Woodstock ski season vacation rentals are highly sought after, so reserve yours now. Browse the list below to see the current list of available Loon Mountain area seasonal rentals, and contact us for more information, or complete a rental application. 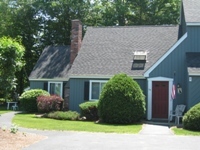 First floor has kitchen, dining, living area, along with the master bedroom and a full bath. Second floor has an additional 2 bedrooms and a full bath. First floor has the kitchen, dining, living area along with the master bedroom and a full bath. 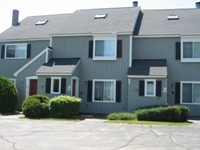 Second floor has an additional 2 bedrooms and a full bath. Some pets allowed with approval. First floor has the kitchen, living and dining area and a 3/4 bath. Second floor has 2 bedrooms and a full bath. Third level has the 3rd bedroom.